The 4C’s are the standard that all diamonds are judged upon. Carat, Colour, Clarity and Cut are the C’s that make up the universal system that is used by suppliers and customers alike to judge the diamond they are about to purchase. Carats are the measurement of how much a diamond weighs. Diamond carat weight can be divided down to two decimal places to allow for very precise measurements of the stones size. Generally, the larger the carat size the higher the price of the diamond. However, this might not always be true depending on the values of the other C’s. The rating of colour is based on the absence of colour. The ratings go from a colourless diamond with a rating of D. To a yellow diamond with a rating of Z. The colour distinctions between each rating can be incredibly subtle and unnoticeable to the untrained eye. However, these small differences can create large differences in both quality and price of the stone. Diamonds occur from carbon being exposed to immense amounts of heat and pressure within the earth. Due to this process diamonds can be left internal characteristics which are called inclusions and external characteristics called blemishes. The diamond clarity scale has 11 different grades, which you can see above. Like colour, it can be very hard to distinguish between grades with the naked eye. But be assured they have been expertly judged. The higher up the scale towards flawless a diamond is the more expensive it will likely be, again, this also depends on the other 3C’s. Although cut is normally referred to and thought of as its shape (oval, marquise, pear etc). Cut actually refers to how well the diamonds facets interact with light. This is the most difficult of the 4C’s to judge. The proportions of the diamond are judged on how well they create desirable properties such as its brightness, fire and scintillation. Brightness refers to the amount of white light being reflected from the stone. Fire refers to the scattering of white light into its different colours and scintillation refers to its sparkle, or the pattern of light and dark areas produced by its reflections and facets. 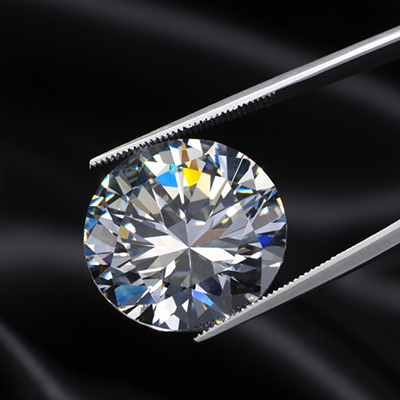 The cut of a diamond is also judged by how well and how proportionate all of its facets are. Our story began in 1942 with my Great Grandfather Dennis Allum mending clocks and watches from a shed in the garden… now we have five unique jewellery stores, a fantastic team and the best customers!